This bridal headband spares no sparkle. With glitter text, the bride will be the centre of attention on her night out. The luxurious gold shade complements all outfits and adds the perfect finishing touch to the bride's outfit for her hen party, engagement party or bridal shower. 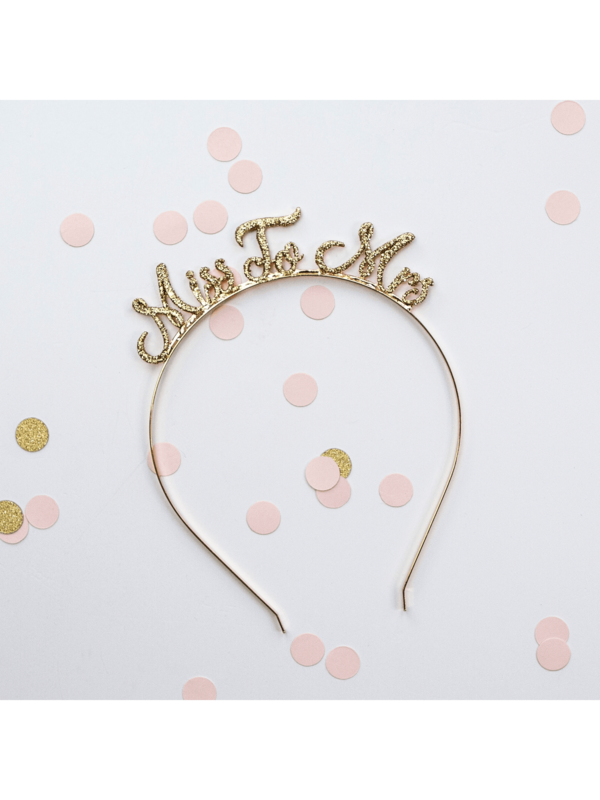 This 'Miss to Mrs' tiara is the perfect bridal gift for a special friend. The flexible headband is designed for comfort and all-night wear.